The stool is documented as perhaps the earliest piece of seating furniture, initially developed by early Egyptian culture in 3000 B.C. Originally a basic elemental item of furniture, the Second Dynasty (2700 B.C.) in Egypt advanced the stool to hold new form, reserving it’s use solely for royalty and high ranking members of society. An eminancy the stool held from antiquity times through to the 17th – 19th Centuries. 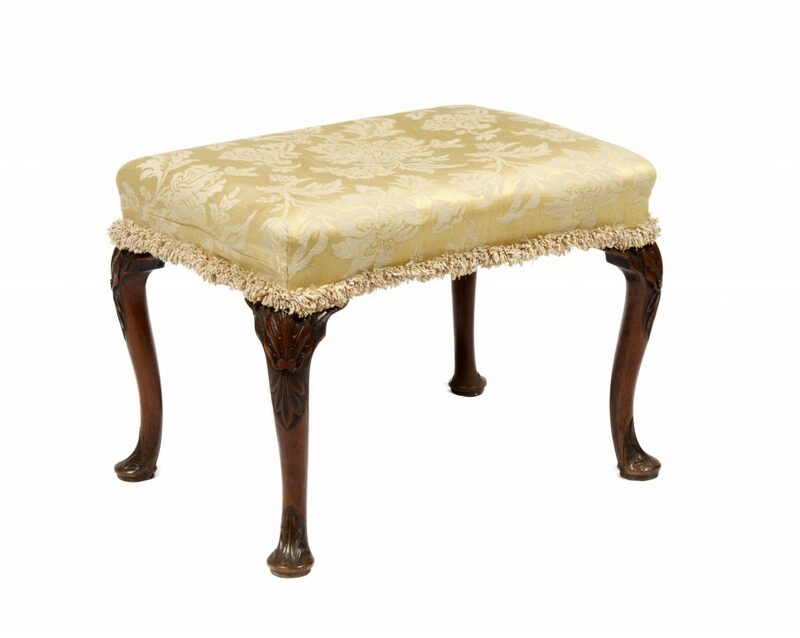 In the French court of Louis XV, the tabouret, a padded stool was awarded to those holding the rank of duchess. Lesser ranking nobility would be expected to stand. The renowned etiquetticy of the French Court of the 17th Century rapidly spread and dominated the other countries of Europe, primarily the Georgian Court in England. Here the knowledge and use of proper etiquette was vital because it was the foundation of the social order and political system of the Ancien Regime. Within this system the Monarchy retained dominancy, maintaining absolute power and prolonging the reign of the King was of utmost importance to the Georgian Kings. The Georgian period was juxtaposed amidst an increasingly unsettled political landscape in Europe and bore witness to the establishment of new Republics and the utter obsoleteness of the Monarchy across Europe. Georgian and Regency antique pieces have survived due to the quality of the work of the Master Craftsmen and the timbers used, most notably Cuban mahogany which originally was seen as one of the wonders of the Indies. The rich, compelling character of Georgian period art and design produced ornate sculpture like furniture. Motifs used were the shell, the acanthus, scrolling, reeding, the claw and ball foot and the scroll and ball foot. These motifs can be seen in some of the examples that we have included on our website for your perusal. This was the commencement of incredible British furniture, the age of the great designers had begun. 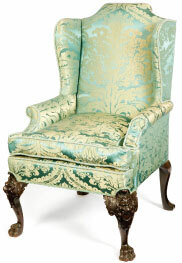 Chippendale, Adam, Hepplewhite and Sheraton helped create masterpieces which are a delight to the 21st Century. Irrespective of being an incredibly useful item of furniture, the stool imbues grace and sophistication to every room whilst reflecting the culture and royal distinction of its position in history. Please visit the Chairs and Seating section on our website to see some of our other fine pieces in both our Dublin and New York Galleries.